Part 3 in the 3 part series Your Identity and Your Money. Find Part 1 here and Part 2 here. This is exactly why I love spending time with young adults. He was honestly surprised at my fear. In considering his reaction, I understand his failure to empathize. At his age, I too was rarely afraid. The few things that did cause anxiety for me at that age, heights and rats, were external. I cannot recall ever being immobilized by the fear of failure or the fear of rejection or the fear of a wrong choice. My old fear of heights has mellowed greatly. I can climb ladders and ledges with just enough fear to keep me cautious. I am more affected by watching a child stand close to the edge or totter up a steep staircase than I am by my own exposure. However, those internal, “What if I’m not strong enough? Smart enough? Good enough?” fears are much more present in my life today than when I was young. Sometimes writing what should be something simple can stop me in my tracks for days. Indecision, another byproduct of those internal fears, is my constant companion. My indecision and I frequently battle on a wide range of topics. Most days I can beat it back to the level of rational and helpful doubt, but sometimes it creates a full-blown fear fest waste of a whole day. Certainly, some of this new fear is due to losing that big paycheck. Like many, a big part of my identity and self worth came as a paycheck. It was a monthly concrete validation of my worth in the world. In addition to the check, that job gave me a great feeling of accomplishment, most days. (It wasn’t all roses – there were significant daily challenges- but that’s another story). Wrapping yourself in that paycheck is just as harmful and dangerous as measuring your worth by your stuff. One of the more harmful side affects of a paycheck identity is that it invites judgment of others. I’m ashamed to say that I have thought myself better than others because I earned more. You know what it means if you earn more than someone else does? It means you make more money – period. Are you more educated, a harder worker, smarter, or more talented? Maybe, or maybe not. There are many highly educated motivated talented people doing incredible work in fields that don’t pay that well. Conversely, there are plenty of jerks, greedy un-innovative (is that a word?) people that are raking it in. God help those who think the best measure of their worth are the numbers on their paycheck. These poor souls are just about guaranteed to be sucker punched when they retire, quit or are let go. I won’t kid you; some moments, I would eagerly trade the new half-baked “better” me for the judgmental decisive fearless a$$hole I used to be. I tell you this to assure you that I understand that identity change is hard; there will be setbacks. Just know if you are struggling with this, I’m right there with you – everyday. Based on my observations, I think we are in good company. I am not my FICO score (regardless of how good or bad the number is). I am not my car, boat, or house. I am not the high tech toys, nice clothes, or brand name stuff I own. I am not my bank balance. I am not my job and certainly not the numbers on my paycheck. I am a greatly loved child of God. I am a mother, a lover, a daughter, a sister, an aunt and a friend. I am kind, dependable, trustworthy, hard working and encouraging. I am smart, curious, adventurous, and strong. There – that should beat back those fears for a bit. Now it’s your turn. Author Cassie FeatherstonPosted on December 20, 2012 September 25, 2016 Categories Change your Thinking1 Comment on What are you afraid of? Part 1 in the 3 part series Your Identity and Your Money. Find Part 2 here and Part 3 here. We all know someone, and I know I’ve been that someone, whose identity has gotten all tangled up in their stuff. When what you own becomes who you are, you become fearful of losing it; when a car is no longer just a car or a house a house you start making stupid decisions. I’ve had that identity problem with a car. 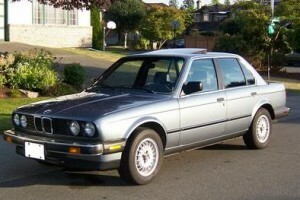 The first brand new car I bought for myself was a BMW 325i. It was beautiful and fast and came with a very thick payment book. 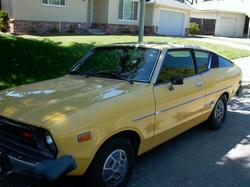 That car replaced maybe the ugliest car I ever owned, an orange Datsun B210 hatchback. I bought that one used for about $800 as I remember. It was easy on gas, took me where I wanted to go and never failed me. I neither loved nor hated that car; it was just a car. 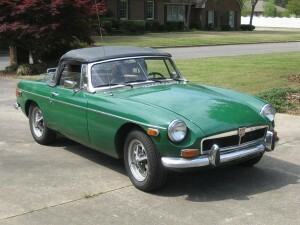 Before the B210 I had a MGB Roadster with rusted out floorboards. I loved the MGB. I didn’t even care (most of the time) that it constantly failed me. However, once I had a baby, I started thinking that a car should be safer; like maybe it s hould have seatbelts and perhaps you shouldn’t be able watch the road whiz by between your feet. As much as I liked the MGB – it was a car that I owned and had fun driving – it never became part of who I was. The BMW was a different story, I bought it because I was selling and was convinced by others (it didn’t take much convincing, I really like cars) that I needed to look successful. I loved not just the car but also the way that car made me feel – more successful, more important, more grown up. It also made me feel very broke. About half way through that book of payment coupons, my marriage crumbled and I found myself as a single self-supporting self-employed mom. That car payment was by far my biggest expense and many months I worried about making it. The real problem came when the car needed maintenance or repair. The dealer’s service guys were always very polite and efficient. They would fix the car, wash it and deliver it back – usually with an invoice for over a $1000. A $1000 was a fortune to me at that time. When there were well over 100,000 miles on the odometer and with coupons still in the payment book, in the middle of nowhere it quit on me requiring a long distance tow. I decided I should bite the bullet and get something dependable and that I could afford. The way I know for sure my identity was all tangled up with that car, was that when I decided I couldn’t afford it one more day, I ended up at the BMW dealer negotiating a trade of my upside-down, much too expensive present circumstances car for a new one just like it. With the car picked out, the loan approved (a loan that covered not just the new car with no down payment but also the deficiency on the old car’s value), I arranged to pick up my new ride the next day. I was trading an almost paid off car with payments that choked me for a heavily financed car with even bigger payments that would go on nearly forever. What is that definition of insanity? Doing the same thing but expecting different results. Oh yeah, I forgot. I know you expect me to tell you that I loved that sensible Civic; that I never again wanted for a fast, tightly engineered, cool car but it’s not true. What is true is that, as of today, I haven’t since let a car be part of my identity and I haven’t since bought a car I couldn’t afford. Now that we could afford that brand new 3 series, it makes me crazy to think about spending that much money on a car, I can easily think of a zillion better ways to spend 40 grand. These are the ideas that help me in my ongoing struggle to keep my stuff separate from my identity. It’s wrong-minded, stupid and downright dangerous to let your stuff become who you are. I know when this is happening because I become willing to make choices that allow me to acquire or keep things that go against my overall goals. I am a fantastic rationalizer and I can talk myself into almost anything. I know this can be a problem, so I always discuss big purchases with someone rational and uninvolved and I go slowly in making those decisions. It’s perfectly OK to have stuff. Even really cool, expense stuff. As long a) as you can pay for it, in cash, in full without touching your retirement savings or emergency fund or using any other silly accounting self-trickery and b) it doesn’t conflict with your overall long term goals. Never buy to impress others. If you didn’t own that car, that house or that boat would you still be the same person? Would others still see you the same? Do you own it for your own personal enjoyment or do you use it to try to influence others opinion of you?